Are you in the process of searching for a new home? If so, it’s important to keep a close eye out for issues that could require expensive repairs in the future. Some of these issues – like outdated electrical panels or cracks in the foundation—are pretty easy to spot if you know what to look for. Others, however, are more difficult to identify. In some cases, minor cosmetic defects can even be signs of serious structural or mechanical problems. 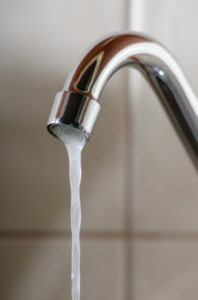 Low water pressure might seem like a trivial annoyance, but if the problem is widespread it could mean that the house is in need of a complete plumbing overhaul. Old houses with outdated galvanized steel pipes tend to have bad water pressure, for example. If you notice the faucets in a house are all running slow, be sure to ask about when the plumbing was last updated. Discoloration might just mean that a home hasn’t been repainted in a while, but it could also be a sign of past water damage. Be especially wary if you notice extensive discoloration on basement walls. Yellow spots on white walls and ceilings are also tell-tale signs of leaks. If you notice a musty odor in conjunction with the discoloration, there’s a good chance the home has mold and moisture issues. A single stuck door is probably nothing to worry about, but if all the doors in a home are sagging it could be a sign of an uneven foundation. Fixing an uneven foundation can be extremely costly, and foundation repairs can sometimes necessitate plumbing and electrical replacements as well. If you notice a number of stuck or sagging doors, check the foundation for cracks and other signs of damage. Is there a noticeable dip or rise in the home’s flooring? Even if the change in elevation seems relatively minor, it could be a sign of a serious issue such as termite damage or a sagging foundation. If any of the flooring in a home appears uneven, you should have it inspected by a structural engineer before you consider making an offer. Want to make sure the house you’re looking at isn’t going to wind up being a money pit? The team at First Choice Inspectors can conduct a thorough, professional home inspection to identify a variety of potential problems. Give us a call or contact us online to get your quote today!